Israeli-American media mogul sells children's action franchise in its 25th season to toy company. Israeli-American media mogul Haim Saban has sold the rights to his popular Power Rangers franchise to Hasbro Inc. in a $522 million deal. The cash-and-stock arrangement with the world’s largest toymaker also includes the rights to several other brands including My Pet Monster, Popples, Julius Jr., Luna Petunia and Treehouse Detectives, Hasbro announced in a statement. “Twenty-five years after launching Power Rangers, I believe the future for this brand has never been greater,” said Saban, the founder of Saban Brands and creator of Power Rangers. Power Rangers is one of the longest running live-action children’s series in television history with nearly 900 episodes produced to date. The series, currently in its 25th season, and feature films follow the adventures of a group of ordinary teens who morph into superheroes and save the world from evil. Saban’s Power Rangers airs in 150 markets around the world and is translated into numerous languages. Saban was born in Egypt but grew up in Tel Aviv. He immigrated to the U.S. in 1983, where he worked as a cartoon music composer. He discovered Power Rangers, which was first a show in Japan, while in a hotel room during a business trip. He immediately bought the rights to the show, but shopped the idea to American executives for years before Fox bought it. Since the show’s debut in 1993, “Mighty Morphin Power Rangers” has netted billions of dollars in TV profits and merchandise. Saban is a well-known philanthropist in Los Angeles and his name appears on several projects, including a research clinic at the Children’s Hospital of Los Angeles. Saban, 73, has also poured millions into Democratic politics over the years, including $15 million to Hillary Clinton’s failed presidential campaign. 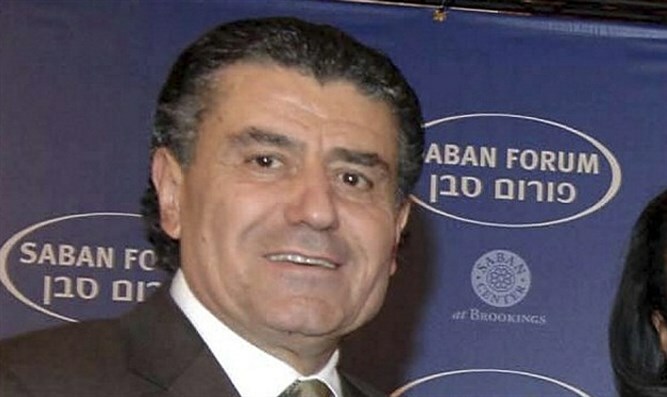 He also donates to causes related to Israel, including the annual Saban Forum on Israel, which brings together political leaders from the U.S. and Israel to debate topics related to the Jewish state, and the Israeli-American Council, which aims to boost the Israeli and Jewish identity — and political clout — of Israelis living in the U.S.